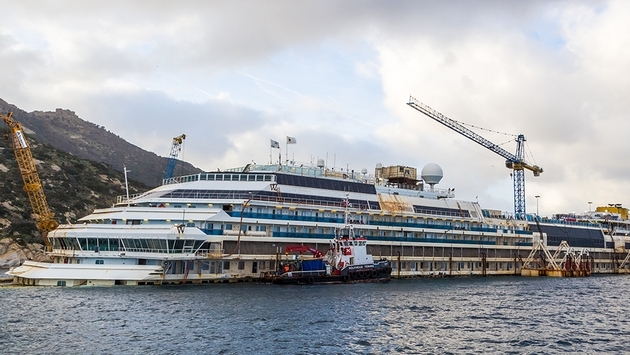 Costa Concordia Move Set, But Where Will It Go? The wrecked hull of the Costa Concordia will be towed in June away from the Italian island of Giglio. A decision on where it will go will be made in March, Costa Crociere and its salvage team confirmed in a press conference in Rome on Jan. 10. The news was also announced on Twitter. After it is towed away in the summer, it will likely be scrapped. The ship struck a rock and capsized on Jan. 13, 2012, killing 32 people. The wreck has remained there since, but in September was rotated upright in a meticulous 19-hour operation called parbuckling. The ship was stabilized and prepared to stay in place for the winter. Monitors will alert the salvage team if there is any movement. The salvage team is considering different ways to move the wreck. The first option is traditional towing. The second is to load it onto another huge vessel. 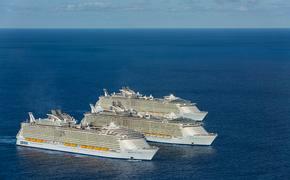 “With a US$30 million contract, Costa Crociere has also optioned the world’s largest semi-submergible ship, the Dockwise Vanguard, as an additional alternative,” the cruise line said. According to current estimates, the total cost of the salvage exceeds 600 million euros. “The size of this investment gives a good idea of the scale of the project, although not one cent of public money is being spent,” Costa said. The ship’s captain, Francesco Schettino, is facing charges of abandoning ship and manslaughter.